Seven-year-old Ali walks into the room, and immediately an adult gives him a quick pop quiz. “Where are you from?” Ali is asked. Ali has never seen Kelbajar; it was taken by Armenian forces in 1993 and his parents, along with tens of thousands of other ethnic Azerbaijanis who had called the region home, were forced to flee. A quarter century later they remain displaced, some of the roughly 1 million Azerbaijanis displaced by the conflict. The 7 percent of Azerbaijanis registered as internally displaced people (IDPs) is one of the highest rates in the world. 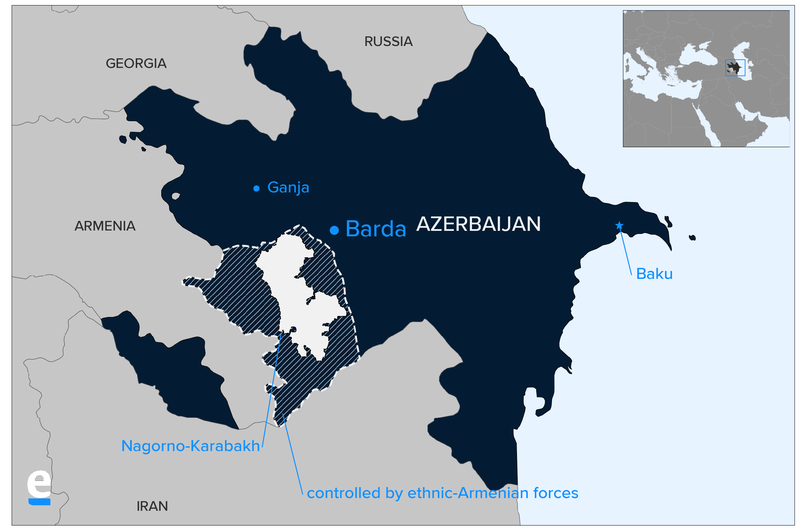 Many of the IDPs are concentrated here in Barda, a district bordering the line of contact between Armenian and Azerbaijani forces, where an estimated half the population is displaced from the conflict. 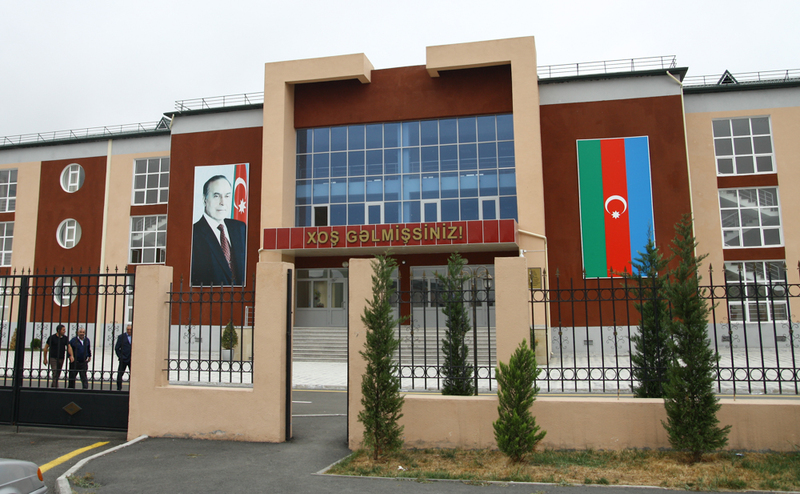 Ali’s father, Qismet Guliyev, is now the deputy director of the Kelbajar Region General Secondary School, an institution serving families displaced from Kelbajar. The school is dark and unwelcoming, unsurprising given that it is a repurposed jail. The Guliyev family lives in an apartment in the same building. Qismet Guliyev (left) and Habil Aliyev, a teacher (right), in the Guliyev family apartment. “What did Armenians do to us?” Ali is asked. Even as the years stretch on with no resolution to the conflict in sight, many of the displaced harbor hopes of returning home. 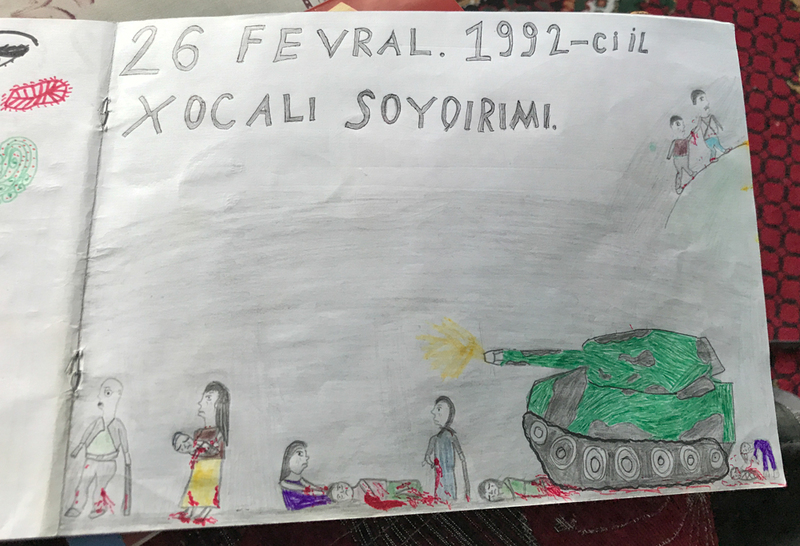 But in the 24 years since the ceasefire was signed, a new generation has grown up with no firsthand memory of the land their parents consider home. To older generations, that is a problem that needs to be solved. Still, some parents worry that as the years pass, the new generation won’t feel the same attachment to their lost homes. “Our children don't know about this land,” said Mirzahan Mamedov, an IDP from Lachin who owns a car wash in Barda and is a father of three young children. “And if our generation doesn't take this land back, after we die, they will give it back to them [Armenians],” he said. To combat any potential complacency, IDP children are constantly reminded of their former homes. These include once Azerbaijani-populated towns in Karabakh itself, such as Shusha, as well as the seven surrounding districts of Azerbaijan which are now occupied by Armenian forces. Like the Kelbajar Region General Secondary School, many schools for IDPs are organized by the region from which the students’ families are displaced. 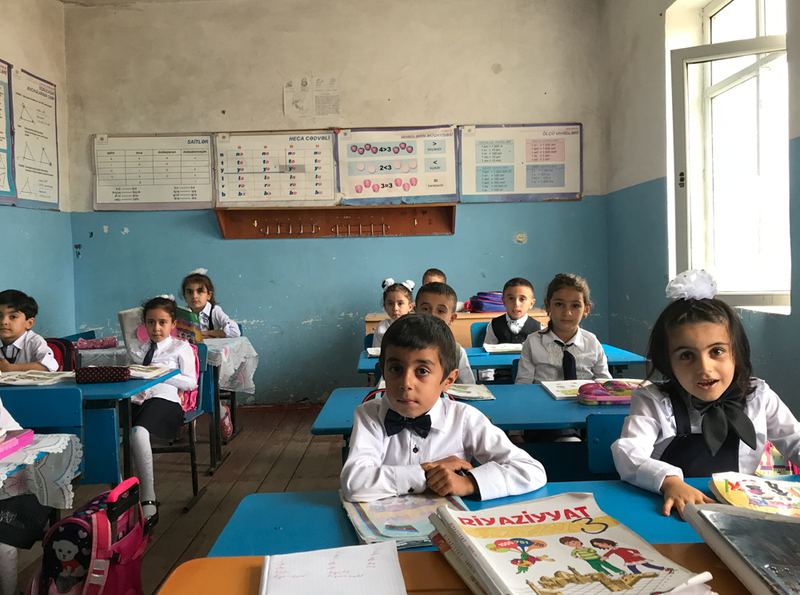 Schools are infused with reminders of Karabakh and the occupied territories: hallways are decorated with memorials to soldiers who died in the war, and classrooms have posters commemorating the names of the lost territories and the dates on which they were occupied by Armenians. Performative displays of knowledge like Ali’s are common. Outside of school, too, children are constantly reminded of their parents’ lost homes. “I’m always explaining to them, I tell them about Lachin all the time,” said Mamedov, the car wash owner. “My oldest son, if you ask him where he's from, he'll tell you 'I'm from Lachin.' And he already knows a lot about Lachin.” He even has a nephew named Lachin. The government has spent substantially to ameliorate the poor living conditions of IDPs. Since 2010, the government has reported spending about $1.35 billion on housing for people displaced from the conflict, though a report from ifact.ge, a Tbilisi-based investigative news website, said that only a fraction of that money can be accounted for. Nevertheless, living conditions have been improving, and international officials estimate that so far about 280,000 of the IDPs have been provided with new housing. A new school for IDPs in Terter opened in 2017. In recent years the government also has thoroughly renovated the centers of the three regional capitals in the area – Barda, Terter, and Quzanli – with new state buildings, including the inevitable Heydar Aliyev museums dedicated to the former president, considered the father of post-Soviet Azerbaijan. Regardless of the new development, people cling to memories of their former homes. Businesses have names commemorating the lost territories – Shusha Café, Lachin Construction. IDPs who learned that I had recently visited Karabakh and the occupied territories invariably peppered me with questions about what it was like there now, and raptly swiped through the photos on my phone. Most IDPs in the region give high marks to the government for its handling of their living situation. The more common complaint is about the government’s failure to take back their native land. An especially delicate issue for IDP parents and teachers is how to talk about the Armenians who now live in their former home territories. Just as they have never seen the homes from which their parents fled, many of the younger generation of IDPs have never met an Armenian. “We teach them that not all Armenians are guilty. And that they have kids like you. We don't say that we won't be able to live together again. But I'm not sure. At most, maybe we can live like neighbors,” said Ayten Abbasova. She is from Kelbajar, where there was virtually no Armenian population before the war, but she went to university in Stepanakert where she lived with an Armenian family. In the middle of this conversation, Ali’s sister, 13-year-old Hecer, enters, and she gets her own quiz. “Can we live together with Armenians?” she is asked. Joshua Kucera is the Turkey/Caucasus editor at Eurasianet, and author of The Bug Pit. Click here to read Kucera's earlier dispatch from Kelbajar.